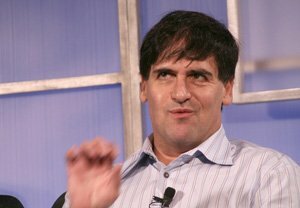 PopYard:Today's Tech.-Mark Cuban: Artificial Intelligence "Will Cause a Lot of Unemployment"
Mark Cuban: Artificial Intelligence "Will Cause a Lot of Unemployment"
Billionaire Mark Cuban said this weekend that AI will cause mass unemployment. The "Shark Tank" star took to the stage at multimedia celeb festival OZY yesterday to warn that "however much change you saw over the past 10 years with the Apple (Nasdaq: AAPL) iPhone, that's nothing. There's going to be a lot of unemployed people replaced with technology and if we don't start dealing with that now, we're going to have some real problems." Indeed, in September 2016, business trends think tank Forrester Research released an exhaustive report anticipating that robots will eliminate 6% of all U.S. jobs by 2021 – 10% of which will occur in the retail industry alone. In fact, we're already seeing the disruption occur right before our eyes. "E-commerce, the digital assault on traditional brick-and-mortar stores, isn't just winning battle after battle in the war for shoppers' attention and spending," Shah wrote on June 27. "It's changed the battlefield and the weapons being deployed to cut open consumers' pocketbooks and wallets." Shah went on to explain that every retailer, no matter what they're selling, is employing some form of AI. Or they're about to, because they have to in order to keep a competitive edge. For example, H&M is now using an online chatbot (a conversational computer program) that offers site customers personal style feedback. And IKEA offers an augmented reality program online that provides suggestions on furniture arrangements in real time while allowing shoppers to view how different products would look in their own homes. But these companies are fighting an uphill battle. In fact, major retailers have already closed more than 4,000 stores in 2017 – thanks chiefly to e-commerce giant Amazon.com Inc.'s (Nasdaq: AMZN) intrusion into the market. Amazon itself uses a number of AI features to predict everything from product demand to power search rankings, from creating and recommending deals to detecting fraud and translating site content. "The new retail-killer meteors are AI and machine learning," Shah writes. "They're destroying companies and brands every day. And we're all over the winners… and especially the losers." The retail landscape is already littered with the corpses of recently deceased companies. The truth is, there's a ton of money to be made on retail stocks – if you know what you're doing. Shah is keeping his eye on companies like Macy's Inc. (NYSE: M), JCPenney Co. Inc. (NYSE: JCP), and Sears Holdings Corp. (Nasdaq: SHLD). Though these dead cats may bounce from time to time, their trajectory is decidedly downward. But before you go shorting retailers left and right, there are a few things you should know. Here, Shah explains how he earns big gains from the retail apocalypse by making prescient calls well in advance of a retail company's downfall.